Watson Racing Services include a complete line of racing solutions. While specializing in drag, and road race, we welcome all hot rod and specialty vehicles. From hood spool pin set install to a full tear-down race vehicle lightening and fabrication to engine builds and much more! 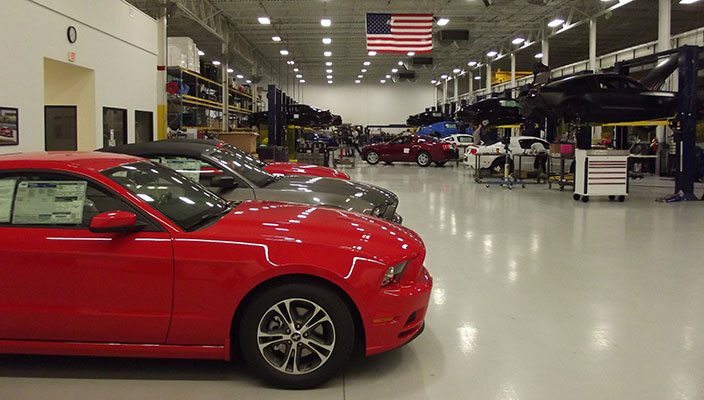 Specializing in late-model Mustang racing builds, parts, and services – Watson offers, Engineered Performance! To view our complete line of racing products, please visit the Watson Racing shop. Also, Racing Services at Watson can build you a race vehicle from scratch or upgrade your current track or street car. With a customized dyno cell with specialized airflow and exhaust set up for race tuning. So, Watson can even prove the results. Brownstown, Michigan Dyno Testing & Tuning – Engineered Performance. While You’ve spent a small fortune building your pride and joy, and you love racing or showing it off. But do you know how well it’s ‘actually’ running? Are you sure you are getting everything that you can out of it? 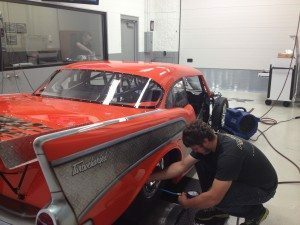 If you are interested in unlocking the full potential of your muscle car, race car, or weekend cruiser, then dyno testing and tuning is one of your best options. 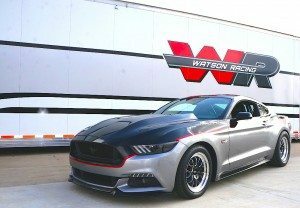 Watson Racing specializes in race tuning using an in-ground 2,000-horsepower, Eddie Current Load Control Dyno Jet chassis, the latest SCT software, and a custom-built fully-ventilated dyno cell. Watson Racing can tune year-round regardless of the weather. Also, it doesn’t make a difference if your engine is stock or built for racing, it can benefit immensely from dyno tuning. No engine will run at peak performance if not tuned correctly. Dyno tuning is the only precise way of dialing in your engine and configuring temperature, manifold pressure, air/fuel ratios, torque and horsepower for optimal results. Therefore, Watson Racing offers multiple tunes to suit your use or track conditions, and you’ll have the dyno sheets to support it. 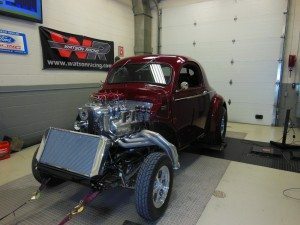 Lastly, if you just want to see what kind of power your car makes and do not need it tuned, WR techs will be happy to accommodate you as well.The Watson Racing staff have been building and tuning race and street cars for over 25 years. Have a carbureted car? No problem – the nearly lost art of tuning a carburetor is still alive and well here at Watson Racing. Technicians can optimize factory EFI systems, as well as stand-alone aftermarket EFI systems such as FAST, Big Stuff, and others. Need a chip burned for your Fox Body? Watson Racing has that covered too. Watson Racing’s Brownstown Dyno Tuning is that essential final step to making sure you maximize the parts in your set-up and protect your investment for the win! Call 855.Wat.Race (928.7223) to book your appointment. **Having your vehicle ‘tuned’ on a chassis dyno can be a great experience. Therefore to allow the dyno session to run efficiently, effectively and to make the most out of your run, email or bring a list of modifications and expectations of realistic goals. Be sure to have a full tank of gas – vehicles consume a healthy amount of gasoline during the tuning process. Also, you can’t expect your car to operate at peak performance if parts are worn out. Finally, make sure you have fresh spark plugs, clean air filter, and that there are no issues with tires. Photos and videos are allowed while cars are on the dyno. So if you would like to view some of Watson Racing, Dyno Tuning pulls, see our website and social media pages. Watson Racing Services in Brownstown, Michigan are available for any car owners and race enthusiasts!